Nature slowly reclaims the jungle in Belize from development: first came the Mayans, then the British, and finally the Confederates fleeing the aftermath of the US Civil War. 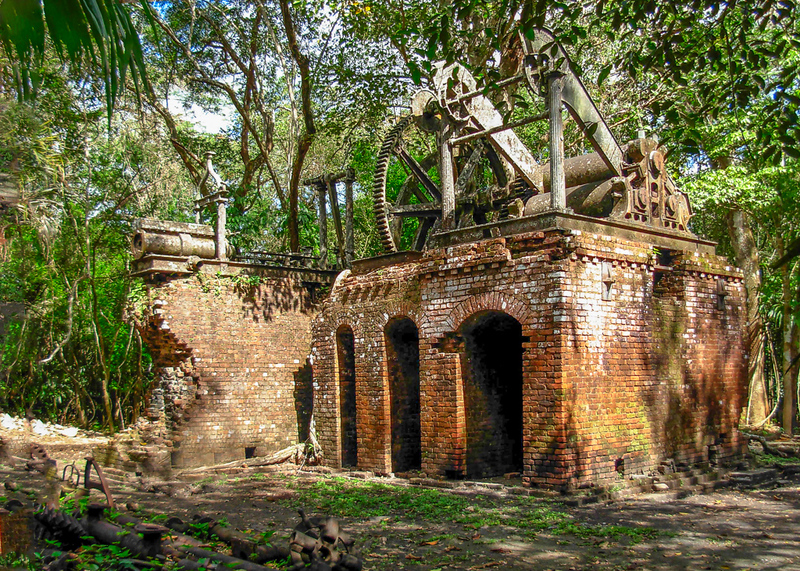 I came upon the crumbling remains of the Lamanai Sugar Mill while visiting the nearby Mayan ruins. The mill was abandoned after fewer than 20 years of operation because of a rotting foundation. Also, the jungle climate was very unhealthy, disease killing workers and owners alike. The sugar industry was founded in Belize in 1848 by the British, and was expanded greatly in 1865 when defeated confederates fled to Belize after the US Civil War ended. Ironically, the confederates arrived to find that the British had abolished slavery in the colony. After the Lamanai mill was abandoned, new production was developed on dryer land where the climate was healthier and the ground was stable. Today, the sugar industry is small, but thriving. 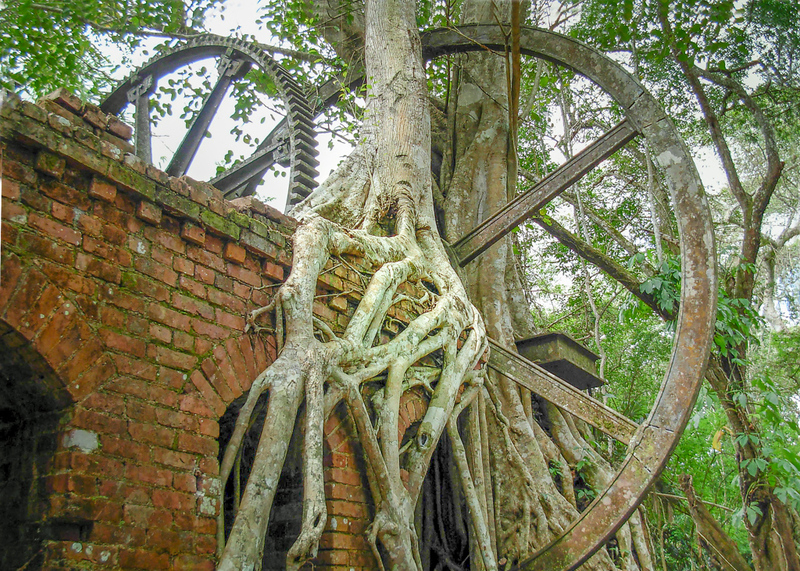 The tourist industry is also thriving in Belize and there is interest in preserving the Mayan ruins from the encroaching jungle, but the abandoned mill is doomed by the forces of nature; in the end the jungle wins. The WordPress Weekly Photo Challenge is Forces of Nature. Follow the link to see what other bloggers have submitted. Lamanai, meaning “submerged crocodile,” is located on the banks of the New River Lagoon. To learn more about the Belize sugar industry visit Belize.com. This entry was posted in Travel Blog, Wordpress and tagged Belize, Photography, Postaweek, Weekly Photo Challenge by carto. Bookmark the permalink. Very interesting. A nice contribution to the challenge and I learned something new!